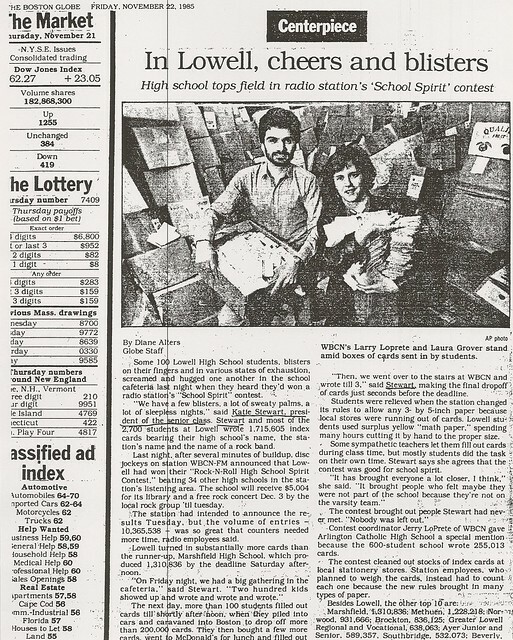 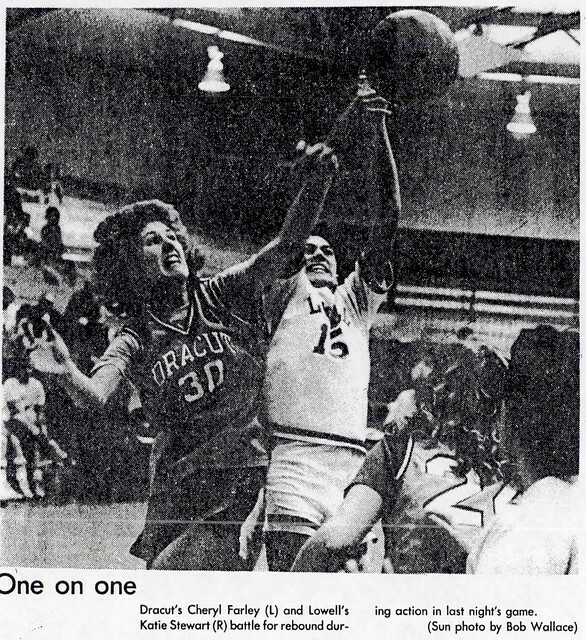 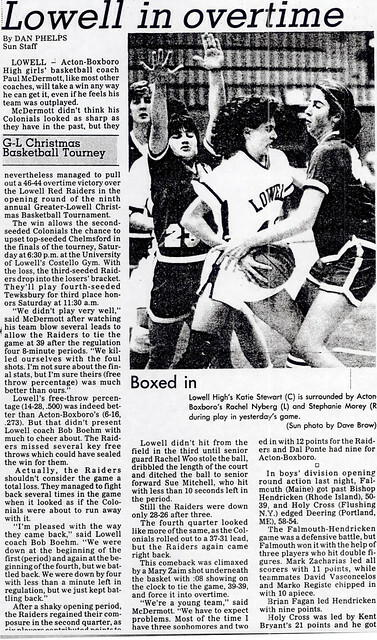 One of the most versatile Lowell High School athletes of the 1980’s, Katie Stewart Frechette won a total of 12 varsity letters in three sports–Cross Country, Basketball, and Outdoor Track–-not only by her ability but also through her dedication and hard work. 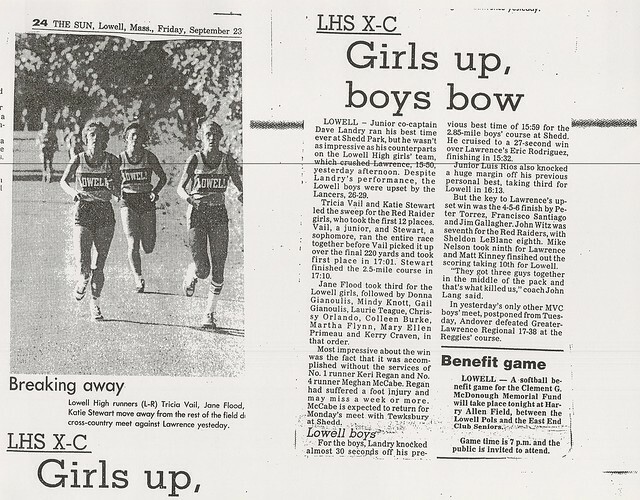 A four-year member of the Cross Country team, Katie consistently performed at a high level not only in dual meets but also in Sectional and Division I State competition. 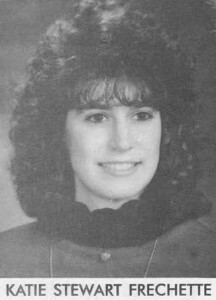 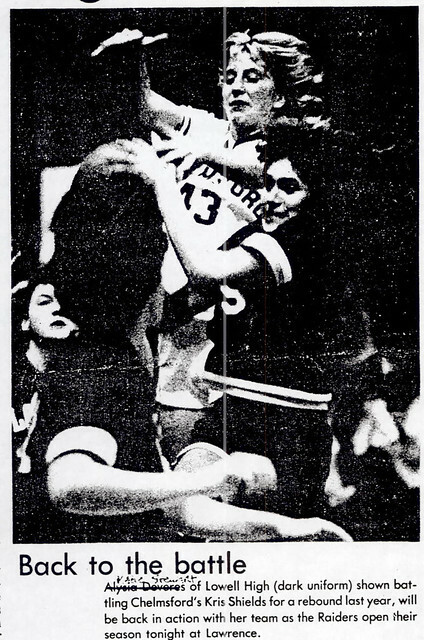 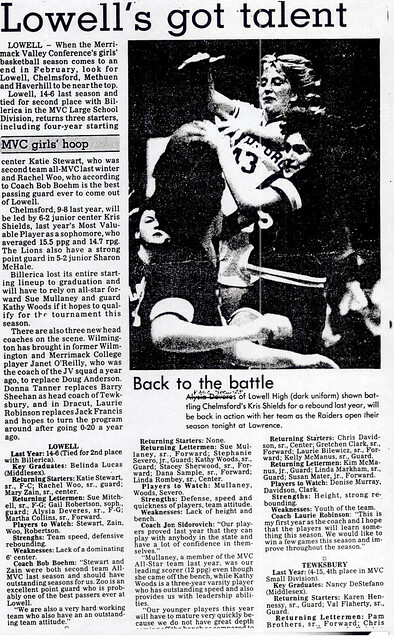 Chosen as Team Captain during her senior season (1985), Katie also earned Merrimack Valley Conference All-Star honors that year. 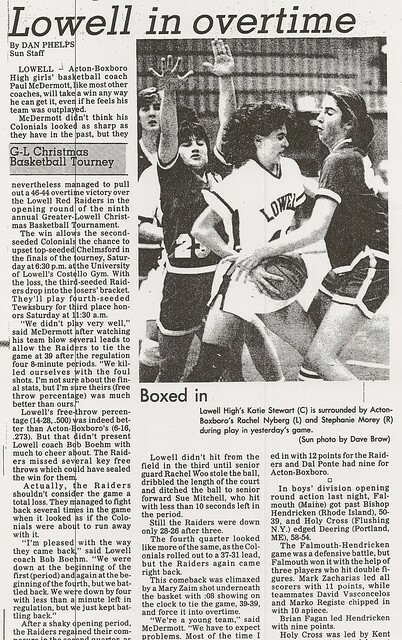 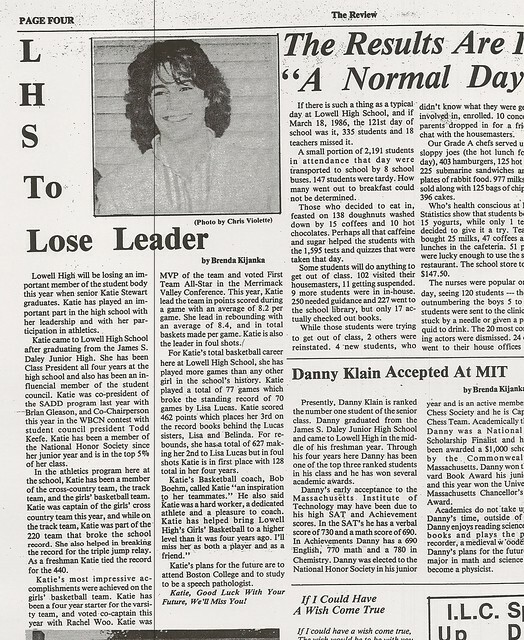 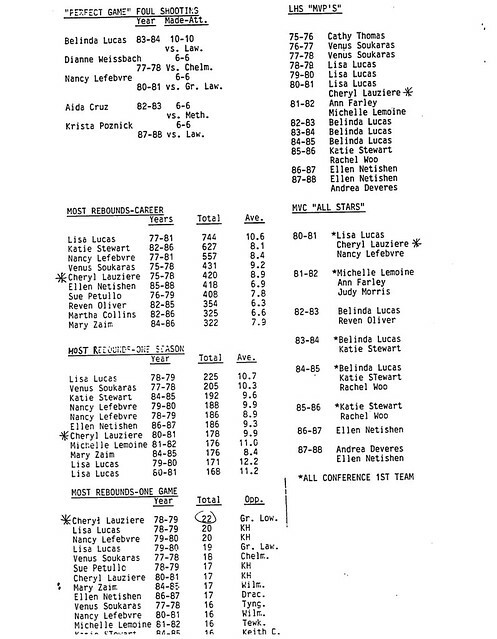 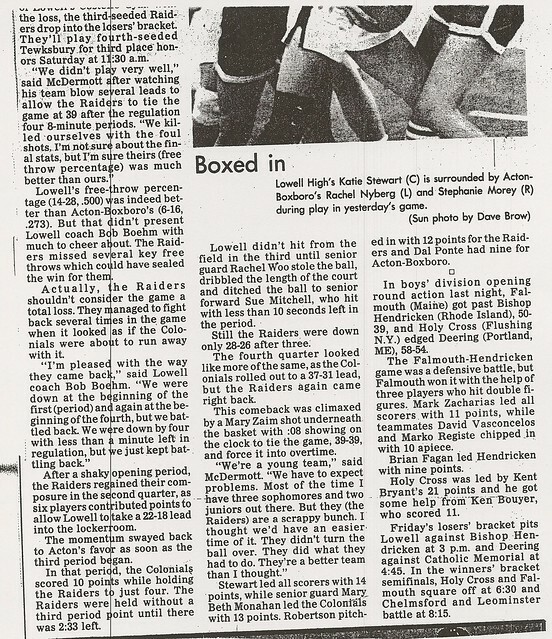 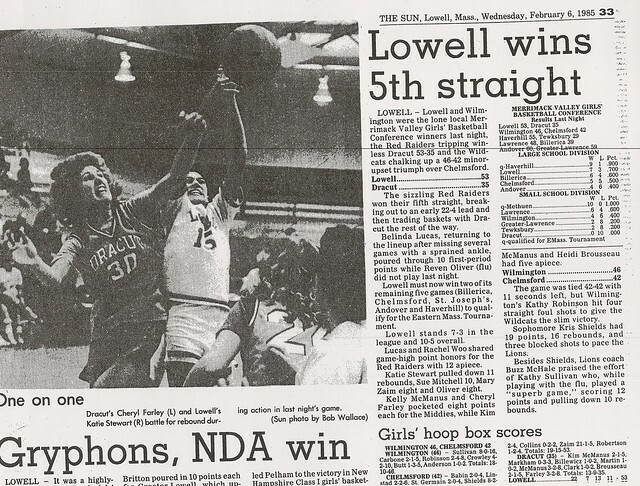 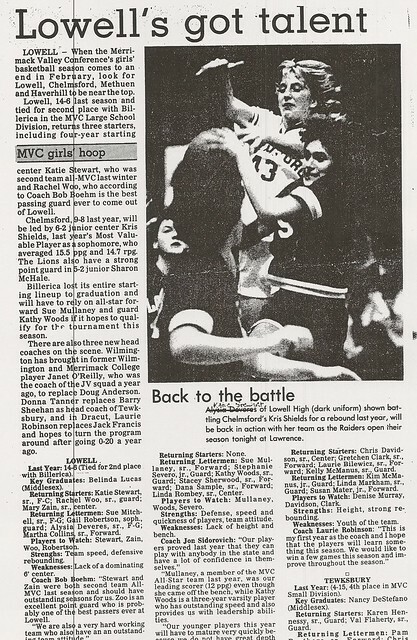 As one of the stalwarts of Coach Bob Boehm’s Red and Gray Basketball teams from 1982–1986, Katie made significant impacts on both the team and the LHS Hoop record book as she helped Lowell achieve considerable success in the always-competitive Merrimack Valley Conference. 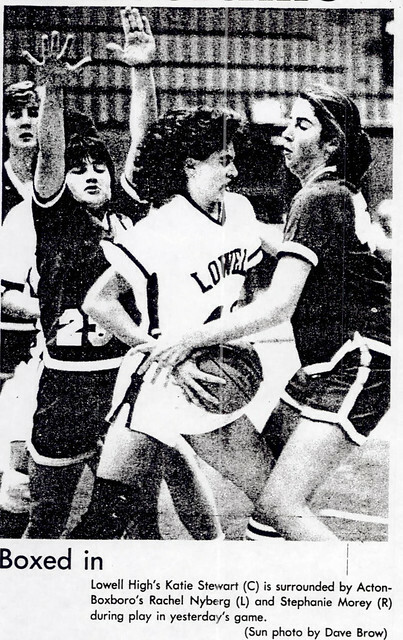 A three-time MVC All­Star selection (1983–84, 1984–85, 1985–86), Katie also received All-Conference and Lowell Sun All-Star status in 1995–96. 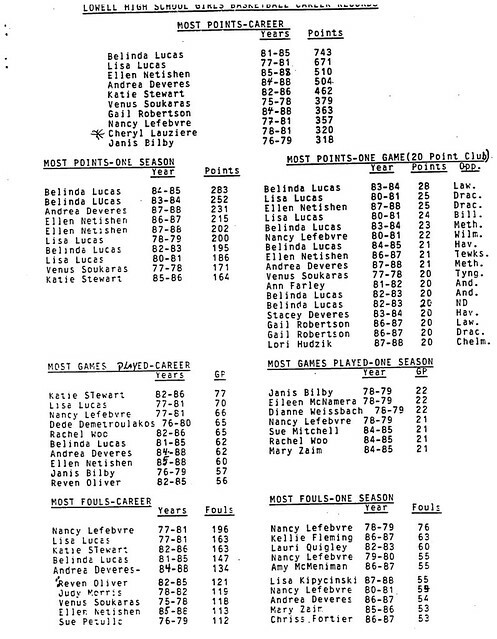 She was also the team’s Most Valuable Player that season. 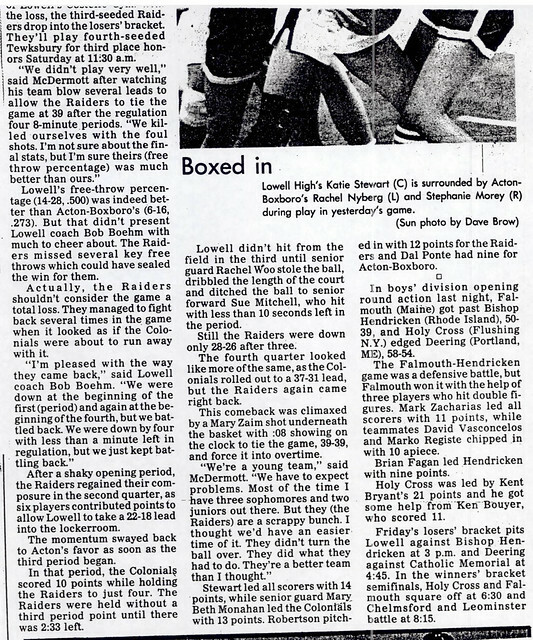 Called “… an inspiration to her teammates” by Coach Boehm, Katie helped the Raiders make school history in 1994–95 with the program’s 1st ever appearance in the Eastern Mass Division I North Tournament. 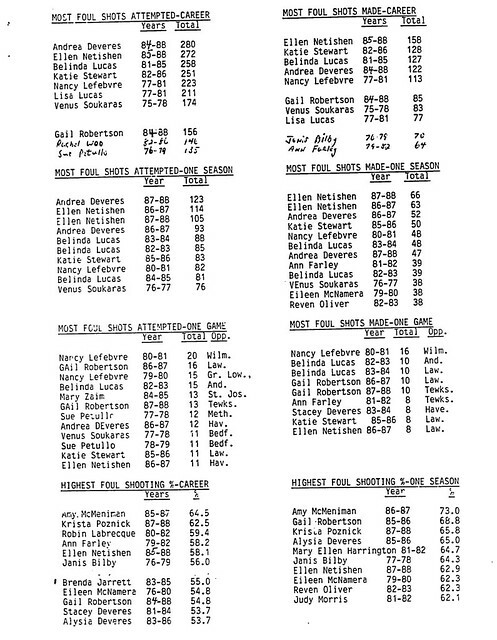 Katie’s name appears in the Top 10 with considerable regularity in the LHS Girls Basketball Record Book in a variety of categories such as Games Played (ranked 1st), Season and Career Rebounds (ranked 4th and 3rd, respectively)’ and Career Points Scored (ranked 7th), among others. 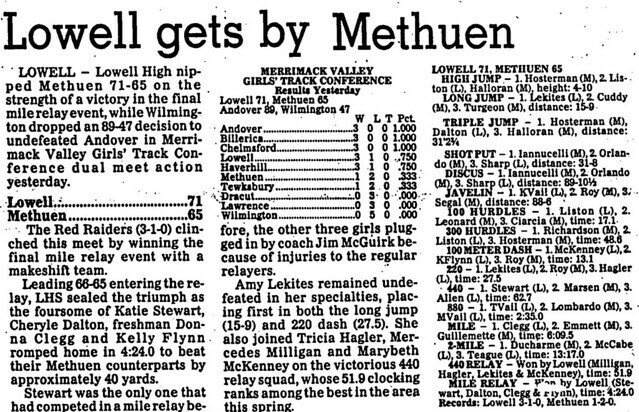 As a member of Coach Jim McGuirk’s Outdoor Track teams for her four years at Lowell High, Katie was a consistent dual meet winner at a variety of events ranging from the 800 meters to the triple jump. 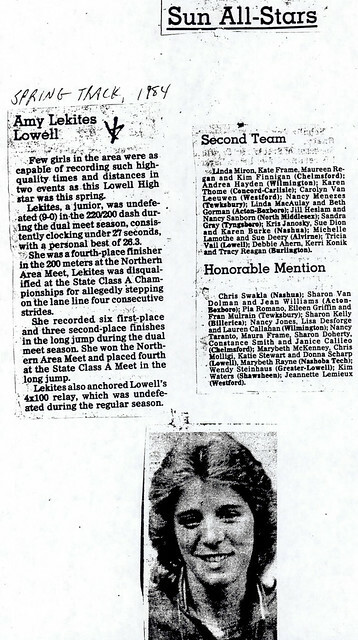 Katie was at her best in the major meets. 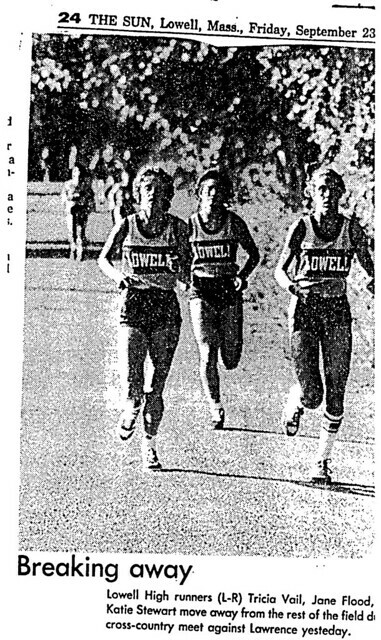 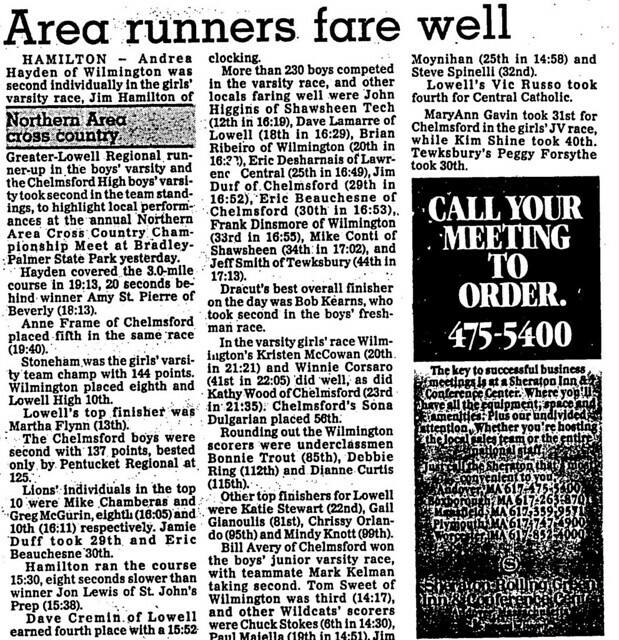 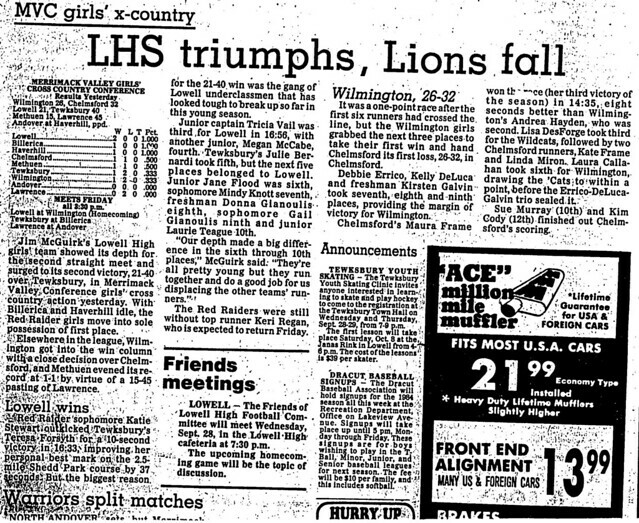 She twice (1984 and 1986) won silver medals as a member of Lowell’s 4×400-meter relay team at the Northern Area Sectional Championships in 1986. 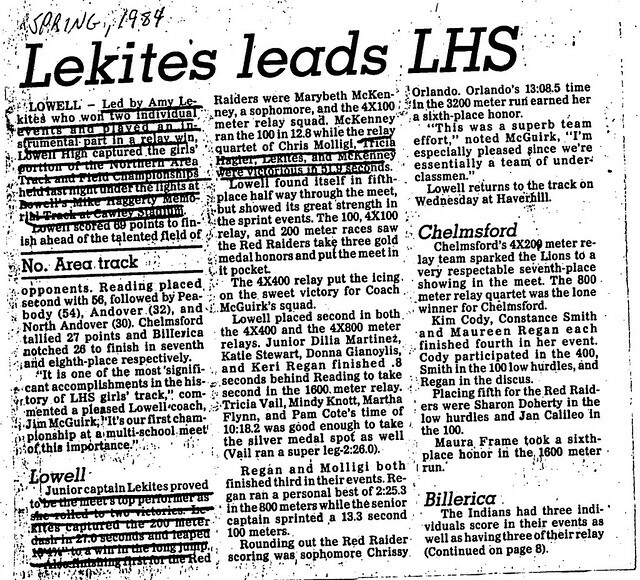 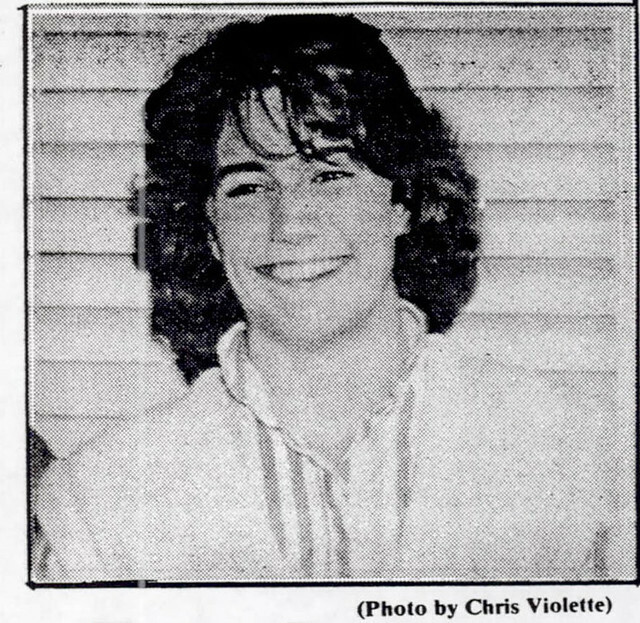 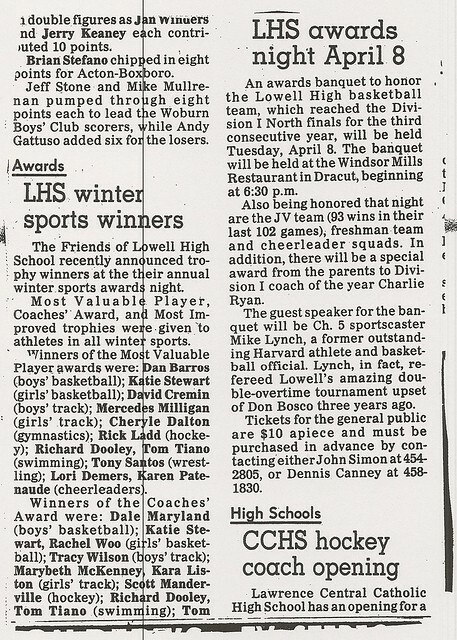 Katie received Merrimack Valley Conference All-Star honors in the triple jump (1985) and the 4×400-meter relay (1986). 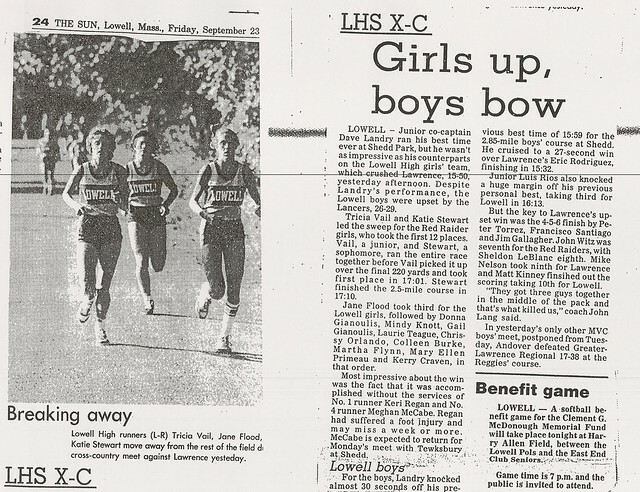 She also was a member of two Lowell High School Record relay teams (4×200-meter and triple jump). 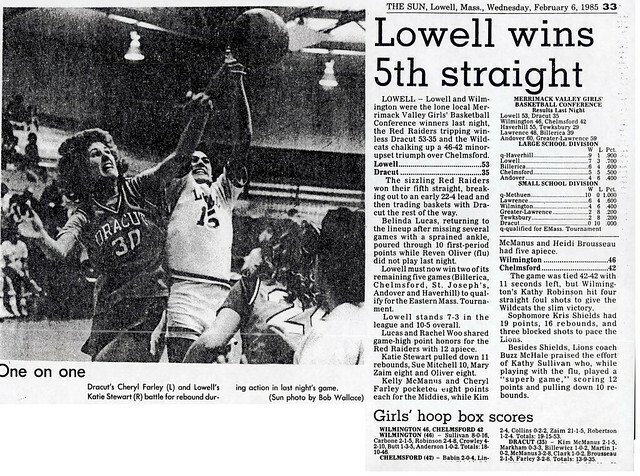 Outside the athletic arena, Katie maintained a high academic record and served as Class President for all four of her years at Lowell High School.